Reed Galen: Never-Trumper Republicans should leave the GOP. But they need to think twice before following James Comey's lead. Reed Galen Never-Trumper Republicans should leave the GOP. But they need to think twice before following James Comey's lead. Instead of simply trading in one bad party for a slightly less bad one, frustrated voters need to use this moment to push for credible alternatives. Last weekend’s Politico Magazine featured an historical retrospective of the rise and fall of major American political parties during the mid-1850s. 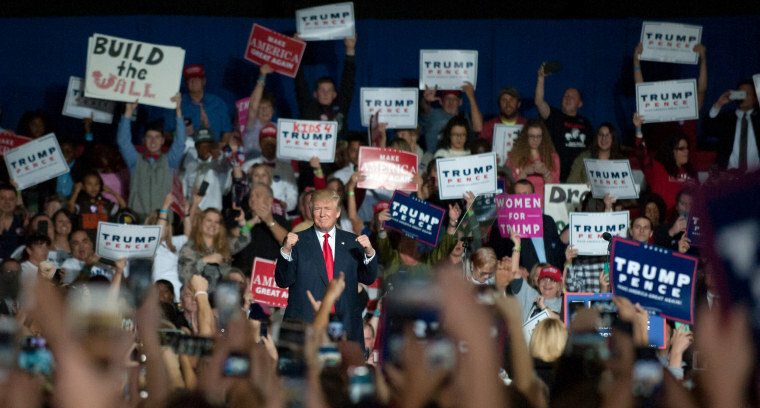 Written by professor Joshua Zeitz, a historian and one-time Democratic candidate for Congress, the piece urges “Never Trump” Republicans to give up on the GOP, cast aside ideas of independence and join the Democratic Party. Former FBI director James Comey doubled down on this sentiment in a series of tweets this week. Although he once identified as a Republican, Comey has said in the past that the Republican Party had left him behind. Now he's going even further, urging his followers to vote for Democrats if they believe in "this country's values." Rejecting Trump is not the same as believing that Democrats have a better plan, vision or policies for the future of the United States. In theory, Republicans and Democrats should be able to compromise. But practically speaking, do they? Democratic leaders have not shown much of a desire lately for bipartisanship. Indeed, one-party control of the executive and legislative branches too often leads to the mistaken belief that, regardless of their electoral margins, the loudest American voters represent the majority opinion. This in turn means that even if Republicans voted Democrat en masse, the larger problem would remain the same: Democrats are not the cure for America’s problems. Plus, if the future of the Republican party is uncertain, Democrats should feel no more confident in their future. In the aftermath of this fall’s mid-term elections, the Democratic party will doubtless begin its own vigorous and likely ugly process to determine its new leadership as we head into the 2020 presidential election. At times painful, this process nonetheless provides ample opportunity for former Republicans, disaffected Democrats and the ever-growing number of independents to begin charting a new path. While the most high-profile Republican deserters and doubters have so far been Beltway insiders like Steve Schmidt, Max Boot and Joe Scarborough, voters of all stripes have major concerns about the direction of our country. In June, Gallup noted that Americans who believe the country is headed in the right direction had reached a 12-year high — at 38 percent. This number does not denote widespread affection for our current system. Clearly, more than just a few Washington D.C.-based elites believe we’re in desperate need of a political shake up. It is not naive or quixotic to want to think outside of the two-party box. It is precisely because the Republican and Democratic parties have spent decades building bulwarks and labyrinths to protect themselves from true competition at the ballot box that we now find ourselves in this hyper-polarized, two-party monopoly. Since the Civil War, the U.S. has experienced several massive political realignments. Two stark examples are the migration of southern Democrats to the Republican Party in the wake of the 1960s civil rights movement and more recently, the Tea Party and populist movements that have pushed the GOP further to the right and further outside the bounds of traditional American politics. The U.S. is currently in the midst of another massive political realignment, but it may end up helping voters. Already, more Americans than ever are leaving the labels of the two legacy parties behind. That they continue to pull the Republican and Democratic levers on Election Day is less a function of affinity than it is a function of the lack of credible, alternative choices. I would argue that in the long term, America will be better served if you use this opportunity to expand the range of political opportunities available. Unfortunately, political reform remains a notoriously time consuming and tedious process. The seeds are being planted today but the full flowering of a new epoch in American democracy will take years. Fortunately, there are dozens of political movements and efforts working to change American politics. Some work from the inside, hoping to fix the house while we’re living in it. Others are actively working with independent candidates like Alaska’s Governor Bill Walker, Stephanie Miner (who is running on the Serve America Movement ballot line) and gubernatorial hopeful Greg Orman in Kansas to achieve electoral success while seeking out voters ready for a new party. They are looking for new outlets and new choices to make their voices heard; voices that believe both in the greatness of American and are keenly aware of the difficult issues, both social and economic, we must confront to continue the experiment that began nearly 250 years ago. Republicans who feel Trump is leading the country in the wrong direction should absolutely look for better options outside of the GOP. But that does not mean they all need to swallow their pride and forget the core tenets of their political identity to do so. By all means, Never-Trumpers, leave your Republican label behind. But I would argue that in the long term, America will be better served if you use this opportunity to expand the range of political opportunities available, instead of simply trading in one bad option for a slightly less bad one. Reed Galen is chief strategist for SAM, the Serve America Movement, which is working to build a new political party for a new American majority.